We are finally beginning to realize the responsibility to be conscious about the purchases we make and ask ourselves who made the clothes we wear everyday and what kind of conditions those workers work in. The fact that we recognize the power of our vocalized objections to make a positive difference for the people that are making the clothes we wear made some of the brands to specifically dedicate their production processes to ethical alternatives that consider both people and the planet. With the many ethical fashion brands now it is becoming easier for us to shop socially responsible and environmentally friendly styles. Made in working conditions where the focus is put on respecting the human rights, fair pay and employment rights; the genuinely amazing and wearable pieces made from sustainable, organic, recycled and high quality textiles will make you look perfect from head to toe without feeling guilty. 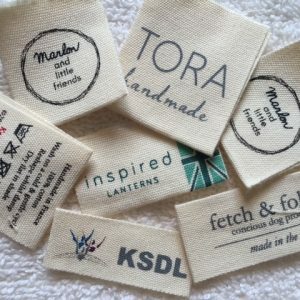 We produce the highest quality woven labels for your ethical brand. 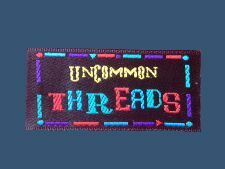 Lightweight, soft and comfortable woven fabric labels are available to suit all sizes, order volumes and design requirements.